It's not easy finding slush-free romantic keepsakes. Gifts emblazoned with 'I Love You Fluffy' are all well and good, but they're not always appropriate, especially when the object of your affection is a style-savvy sophisticate. Besides, you might not have reached that pivotal 'I love you' stage. And nobody wants to come across as a potential bunny boiler, do they? 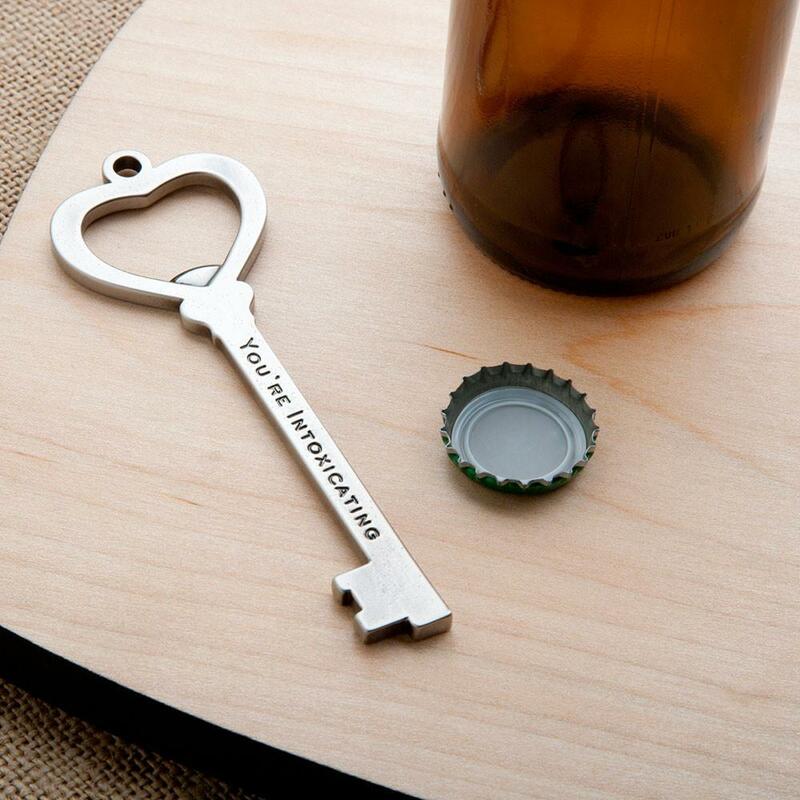 We've got you covered with our 'You're intoxicating' Key Bottle Opener. Presented in a delicate muslin bag with gift tag, this supremely chic trinket is gorgeously crafted in zinc with an antique finish. Oozing romance without the soft kitty. 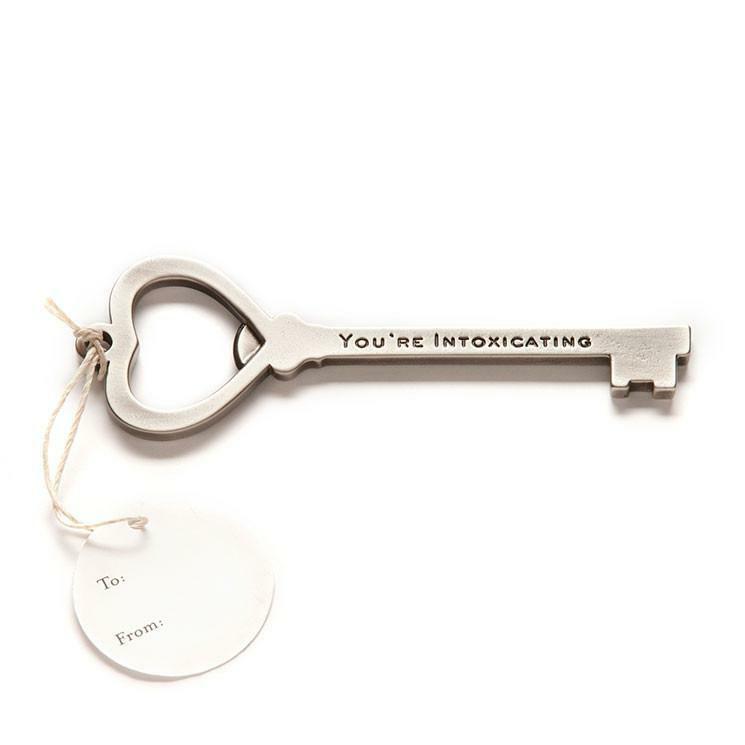 'You're Intoxicating' Key Bottle Opener is a perfect pressie for potential partners, long-term lovers, girlfriends, boyfriends, wives, husbands and anyone in between, it will act as a discreet yet constant reminder of the romantic soul who gave it. And that, dear reader, means you. So get ordering and crack open another beer. Cheers to romance.